Fletcher Gallery is proud to present their first in a series of upcoming posters of New England's coastal areas. 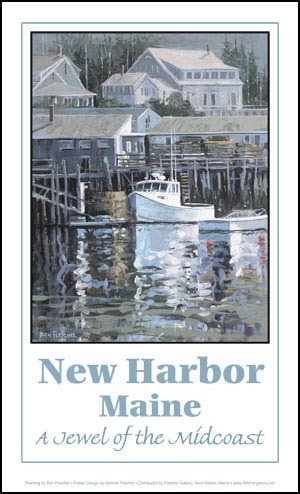 This first poster printed from an original painting by Ron Fletcher titled "New Harbor", depicts the working docks and boats of New Harbor, Maine. The poster is available in full color either flat or mounted under glass with a black metal frame. 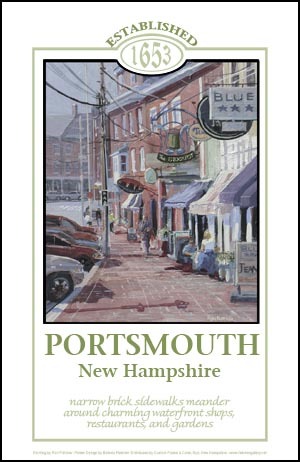 Our next poster was developed for the water front city of Portsmouth, New Hampshire steeping, in history, beauty, and charm. The poster is available in full color either flat or mounted under glass with a black metal frame.